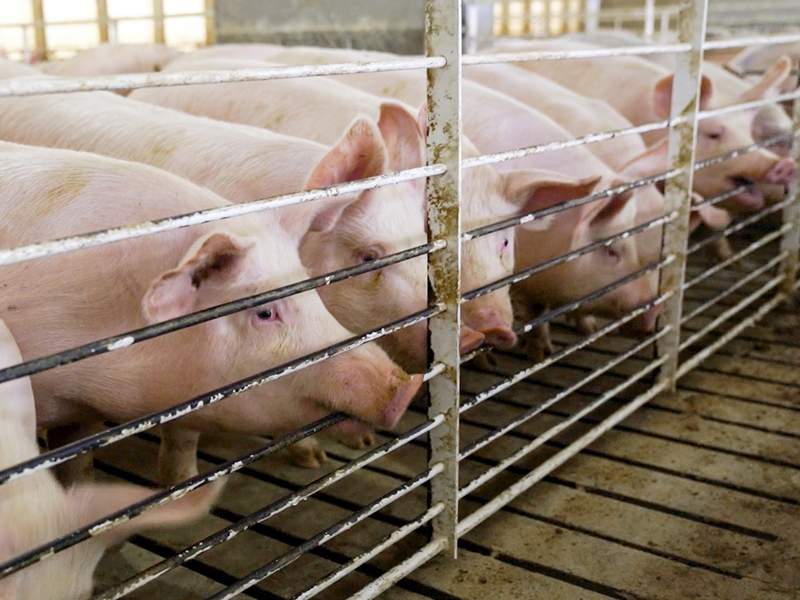 Court Strikes Down Iowa's 'Ag-Gag' Law That Blocked Undercover Investigations The industry-backed law was enacted after several investigations brought widespread criticism on Iowa's agricultural industry. A judge ruled the law violates the First Amendment. "Ag-Gag laws are a pernicious attempt by animal exploitation industries to hide some of the worst forms of animal abuse in the United States," ALDF Executive Director Stephen Wells said in a statement. "Today's victory makes it clear that the government cannot protect these industries at the expense of our constitutional rights." "It was never the intent of farmers to infringe on others' constitutional rights," the Iowa Pork Producers Association said, as reported by the Des Moines Register. "We were relying on the courts to help us protect our rights to lawfully conduct our businesses and care for our animals." Iowa created the crime of "agricultural production facility fraud" shortly after several investigations "brought critical national attention to Iowa's agricultural industry," wrote James Gritzner, senior judge of the U.S. District Court for the Southern District of Iowa. Iowa is one of the nation's largest producers of livestock. The Iowa Legislature began considering passage of the law, making it illegal for anyone to obtain access to an agricultural production facility "by false pretenses." This effectively criminalized all undercover operations by journalists and activists. Indeed, "no undercover investigations had taken place in Iowa since the law was approved," The Associated Press reported. Iowa lawmakers said the law responded to two concerns of the agricultural industry: facility security, and reputational harms that can accompany investigative reporting. "What we're aiming at is stopping these groups that go out and gin up campaigns that they use to raise money by trying to give the agriculture industry a bad name," then-state Sen. Tom Rielly said at the time. The question before the judge was whether lying — in this case, taking a job under false pretenses — is protected by the First Amendment. In the circumstances here, he ruled, lies are protected. "To some degree, the concept of constitutional protection for speech that is false may be disquieting," Gritzner wrote. However, he said, quoting the U.S. Supreme Court, "the Nation well knows that one of the costs of the First Amendment is that it protects the speech we detest as well as the speech we embrace." The First Amendment protects false statements, said Gritzner, "whether they be investigative deceptions or innocuous lies."